This is the PDF version, which will be emailed directly to you. Supplementary material for the Spiritwalker Trilogy, by Kate Elliott and illustrated by Julie Dillon. For years as she grew out of innocent childhood and into budding womanhood, Beatrice Hassi Barahal had imagined a kiss. In a secret journal she wrote about her heartfelt longings and intimate adventures. 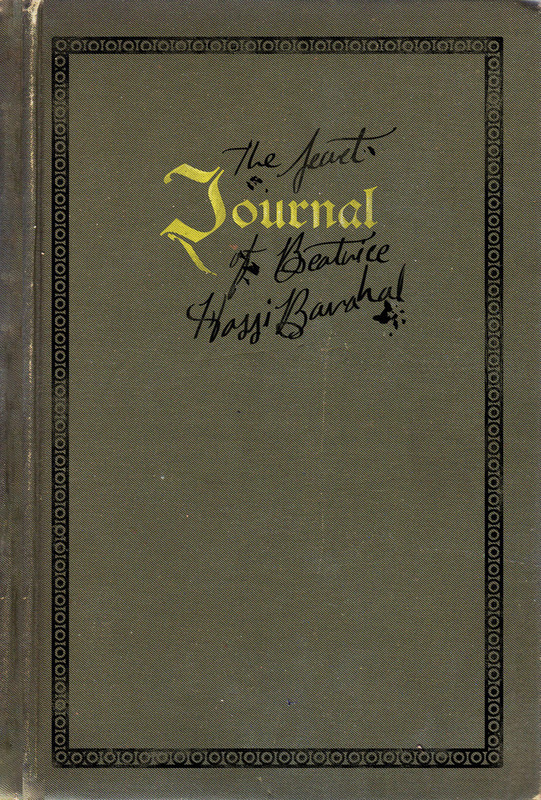 Unfortunately, despite her best efforts, the journal did not remain secret. You can read it now. And you won't be the only one who did. Warning: Do not read the secret journal if you are averse to stories with kissing. If you are so averse, and read it anyway, don't blame me: I warned you. The Secret Journal of Beatrice Hassi Barahal is a short story with illustrations by Julie Dillon. Set in the world of Cold Magic, it is written from the point of view of Bee rather than Cat (the narrator of the Spiritwalker Trilogy). It spans the three volumes of the Spiritwalker Trilogy and then goes beyond them as a sort of coda or epilogue to the trilogy (answering one of the unanswered questions from the end of the third book). The short story should make sense to people who have not read the Spiritwalker Trilogy but honestly the dynamic is far more meaningful if you have read all three books. Also, the story is filled with spoilers for the trilogy: I make no attempt to gloss over any of the main events as they pertain to the story Bee tells. To be honest, though: Julie Dillon's art is JUST SO FABULOUS. I would buy it for that alone.